Although winter has settled in, and camping, at least for us, is on hold until spring returns, the planning continues. Reservations have already been made for the first trips of 2010 and we are anxiously waiting to return to some of our favorite, and hopefully a few new parks. Driving down the highway the other day, I drove past the sign for Bronte Creek Provincial Park in Burlington Ontario, and I was reminded how fortunate we are to have this unique park so close by. Although we have never camped there, we have made many day visits there over the years to enjoy its many attractions. The park consists of over 10km of multi-purpose trails, 11 picnic shelters, a turn-of-the-century living history museum (Spruce Lane Farmhouse), nature centre, 144 electric service campsites, children's play barn, 1.8 acre pool, Olympic size skating rink and a farm. The park itself is 684 hectares (1690 acres) in size, which makes it as large as Central Park in New York City. The park is divided by Bronte Creek as it rushes towards Lake Ontario. The Ontario Ministry of Natural Resources established Bronte Creek Provincial Park in 1972. However, it did not open its gates to the public until 1975. The Park is classified as a recreational park and offers a day-use area and a campground, which opened in July 2001. Bronte Creek receives over 250,000 visitors each year and with the opening of the campground, the park has become even more popular. Today, the Spruce Lane Farmhouse offers educational programs to school groups, as well as a taste of history to visitors, with special events. 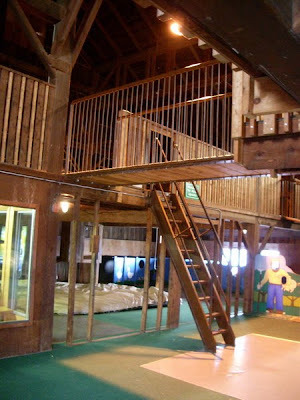 Spruce Lane Farm house is the focus of the Maple Syrup Festival offered each year in March. Spruce Lane Farm house is the focus of the Maple Syrup Festival offered each year in March. The Recreation Complex is the home of one of the largest outdoor pools in Canada. The pool is 1.8 acres (.72 ha) in size and holds nearly 2 million gallons (5.8 million litres) of water. The pool is operational July 1 - Labour Day each year, weather permitting. The Recreation Complex also has an Olympic size outdoor skating rink that is naturally as well as artificially cooled. The rink generally operates from mid-December - end of February each year. The Recreation complex also offers basketball courts, a rollerblading nature trail, volleyball court and tennis courts. 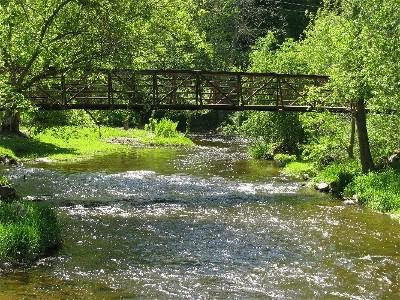 Bronte Creek Provincial Park consists of one of the largest Carolinian forests in Canada, as well as a vast diversity of other deciduous and coniferous trees. Wildflowers grow rampant in the park, especially the Provincial flower, the trillium. During the spring, mainly early May, trilliums grow thick like carpet on the forest floor, especially on the Trillium trail. Small Ontario mammals as well as large mammals including: white tailed deer, red foxes, coyotes, and raccoons call Bronte Creek Provincial Park home. As many as 20 species of amphibians and reptiles make their homes in Bronte Creek Provincial Park. In excess of 70 species of moths and butterflies and 125 insects have been identified at Bronte Creek, including the rare katydid. 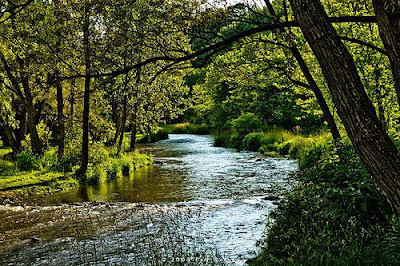 Not only is Bronte Creek Provincial Park natural and educational, it is literally the oasis to more than five million people in the Greater Toronto area. With all of the recent development in Halton and surrounding area, urbanization is making the Park more valuable each day. A great place to visit, Bronte Creek Provincial Park is definitely worth checking out if you are in that part of Southern Ontario.